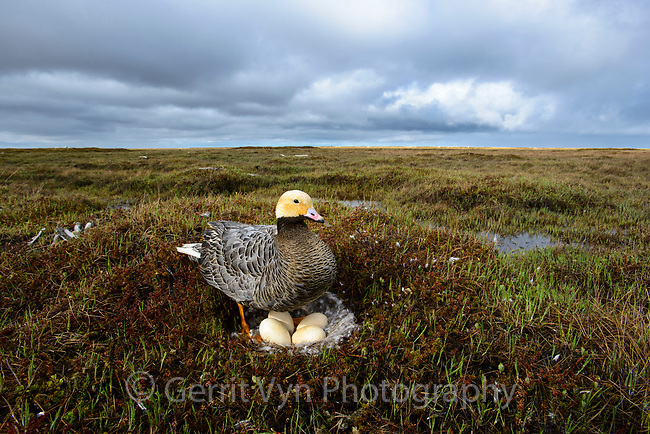 Female Emperor Goose (Chen canagica) at its nest about to sit on eggs. 75% of the world's Emperor Geese nest on the delta. Yukon Delta, Alaska. June.